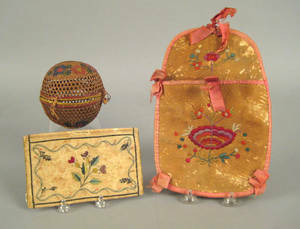 Needlework purse with intricate thread and sequin flowers, vines, and basket on silk fabric, together with a needlework pocket and basketry yarn ball. 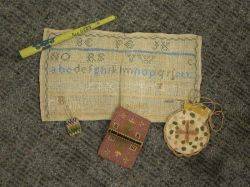 Framed Miniature Needlework on Leather and a Needlework Purse. 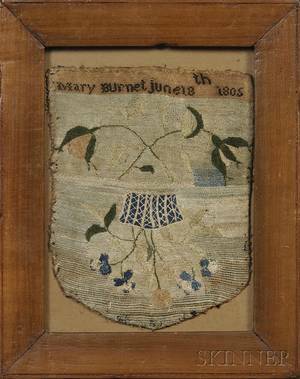 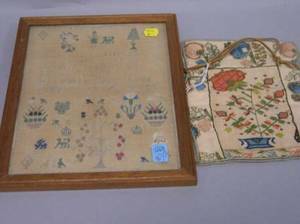 19th Century Needlework Purse and a Framed Mary Matilda Carter Needlework Sampler. 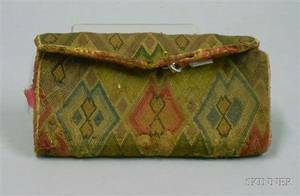 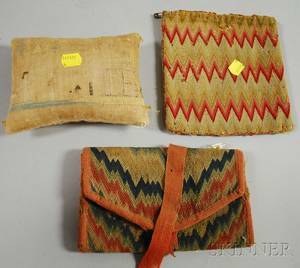 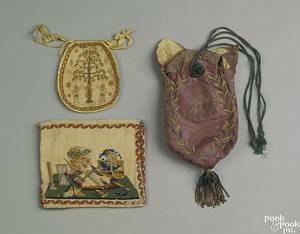 Silk needlework drawstring purse, 18th c.
Needlework Sampler Two Pin Cases Coin Purse and a White House Textile Fragment. 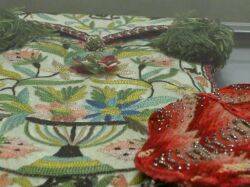 Framed Floral Needlework Bag with Tassel and a Flame-stitch Purse.